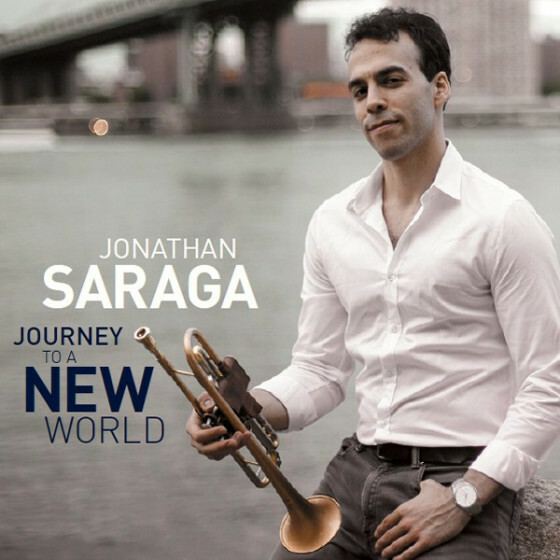 Jonathan Saraga was born and raised in Manhattan, New York City, and was fortunate enough to begin listening to music at an early age. Throughout his childhood, Jonathan would fall asleep while different kinds of music (mostly classical) were playing. His mother's side of the family was very talented in the arts, but only as hobbyists: his mother, a skilled singer and painter, and his grandfather, an accomplished artist and craftsman. Besides having the creative gene in his blood, since his early childhood, Jonathan was subject to the music that his mother listened to at home: Motown, Swing, and Rock and Roll from the 70's, 80's and 90's, artists like the Beatles, Elton John, and Billy Joel, as well as Mozart, Chopin, and Bethoven. Without even knowing it, he was absorbing colorful, rich, mind opening music at a rapid pace. At 11 years old he picked up the trumpet for the first time, and it wasn't long before his musicianship would be recognized. 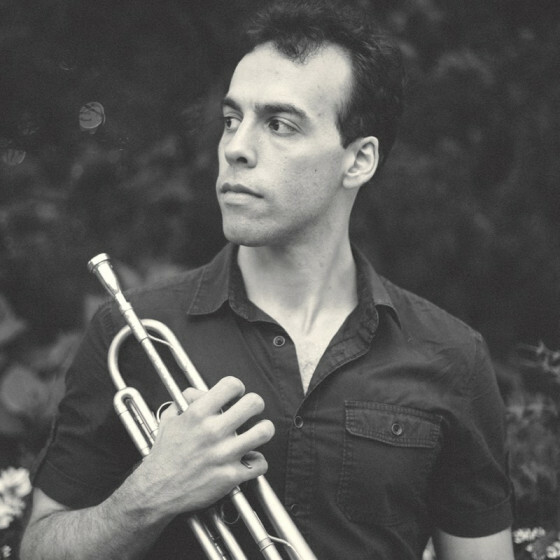 That year he was selected to perform in the Paramount Pictures' movie "Changing Lanes", and before entering high school Jonathan had already performed at Carnegie Hall, and had the experience and poise of maintaining the 1st-trumpet section-leader position for 3 consecutive years. His Junior High School band director, Michael Pitt, a proficient brass multiinstrumentalist, who first was able to tell that Jonathan had potential as a trumpet player, arranged for him to begin studying privately with trumpeter, PhD, and director of the Gramercy Brass Orchestra of New York, John Lambert. John not only served as Jonathan's first private teacher, but also as a very dear friend and mentor. By the time he graduated Wagner JHS with an award in music excellence, Jonathan's studies with Lambert were about to pay off. Visual art was (and still is) a big part of Jonathan's life upon entering one of the world's most prestigious specialized arts high schools, LaGuardia High School of Music and Art and the Performing Arts. He was accepted for both art and music, and decided make the latter his focal point. By the end of his first year, after securing first trumpet seats in both the concert band, and brass choir, and becoming familiar and rooted in the classical style, Jonathan heard Clifford Brown's album "With Strings", and became fascinated with jazz, and began studying with trumpeter, PhD, and U.S. Navy Petty Officer, Bill Dunn, who over the next three years helped Jonathan to began to truly realize his own potential as a trumpeter and musician. Through Bill, Jonathan became disciplined in regimented trumpet practice, became familiar with jazz vernacular, and started to develop his own voice on the instrument. With a new-found understanding of the commitment and discipline that was required in order to to become a truly proficient instrumentalist, Jonathan over the next four years would champion auditions for the All City Jazz Orchestra, The Jazz Standard Youth Orchestra, and New York Youth's Jazz Band Classic. He helped the bands he played in score highly in country-wide competitions, including the Berklee College of Music Jazz Competition, and the Duke Ellington Jazz Competition. He performed at the Rose Hall, Alice Tully Hall, the Jazz Standard, the National Arts Club, at a Governor's Inauguration, and through his own study, began to grow as a musician and expand his horizons on his instrument. Upon graduation from LaGuardia, Jonathan decided to immediately begin his undergraduate study at SUNY Purchase. He followed that up with graduate school at said institution, and after 6 years he had acquired both a Bachelor and a Master of Music degree in jazz studies. He studied with heavyweights Jim Rotondi, Scott Wendholt, and Jon Faddis and was mentored closely by other adept jazz artists such as Hal Galper, Steve Wilson, Jon Gordon, Jimmy Greene, Pete Malinverni, Charles Blenzing, Todd Coolman, Ray Vega, and Arturo O'Farrill. The extensive and rigorous training he received while at Purchase was irreplaceable. The cumulative effect of having been part of so many different types of ensembles, combined with his own practice, and experience of working with and learning from some of the world's most ingenious musicians molded his musical consciousness into a well oiled machine. He then applied his knowledge and acquired skills as he began his work as a professional player in New York City.